"Over Juneau" was written for Access Contemporary Music and Doors Open Milwaukee 2015. It was premiered September 19, 2015, at Milwaukee's City Hall by Christie Miller and Alyson Berger. The piece was inspired by the building and by the large bell that resides within its enormous south tower. 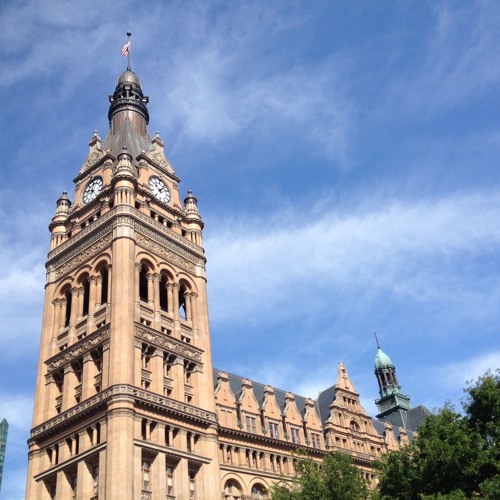 The electroacoustic element of the piece derives from recordings I made in early August of the bell, which is named "Solomon Juneau" after Milwaukee's first mayor and rings on the hour during the day.